TORONTO — Leaning on his stick at the conclusion of practice, Auston Matthews did all the listening in a one-way, one-on-one exchange with Maple Leafs head coach Mike Babcock. “Do you think I’m going to tell you?” Matthews responded abruptly when questioned afterward about what was said. While neither cared to discuss the interaction, Matthews will continue to be among the most-watched players when Toronto opens the first round of the NHL playoffs in Boston on Thursday. 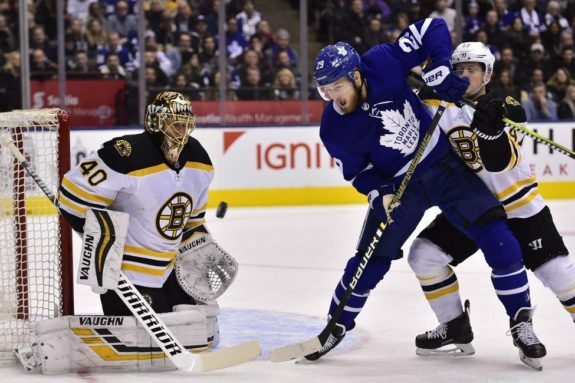 Matthews mustered just two points in last spring’s seven-game loss to the Bruins — a series where his line was thoroughly dominated by the trio of Brad Marchand, Patrice Bergeron and David Pastrnak. “Everybody on this team is going into it very hungry,” Matthews said Monday. “We want to make up for last year. Against the Bruins, that challenge out of the gate will be getting off to a better start at TD Garden after the Leafs were blown out 5-1 in Game 1 and 7-3 in Game 2 a year ago. Toronto then trailed 3-1 with the series heading back to Boston, but won the next two to force a Game 7 where the Leafs led 4-3 in the third period before collapsing in a 7-4 loss that ended their season. “We felt it could have gone either way,” Matthews continued. “To not move on, it was very frustrating. 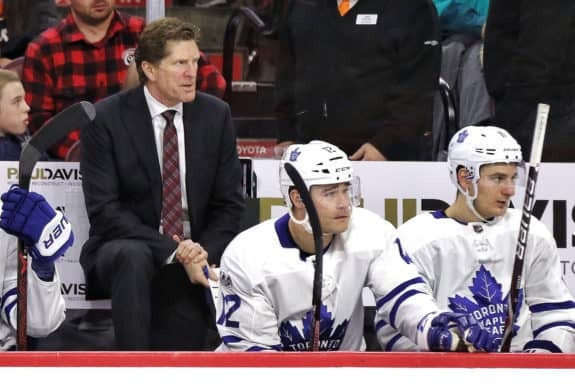 Babcock said the general message to Matthews and the rest of the Leafs, who finished seven points behind the Bruins for second in the Atlantic Division, is the need to be patient against a battle-tested opponent. 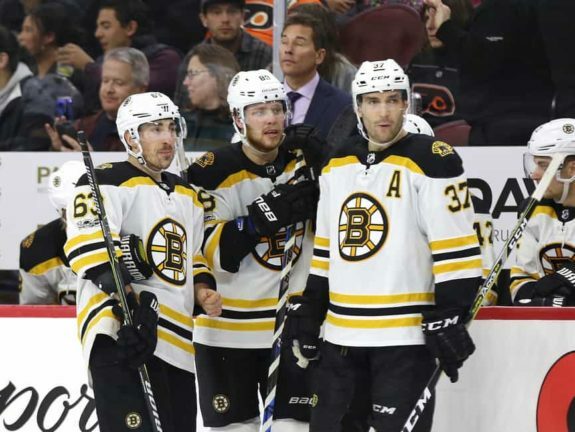 Marchand, Bergeron and Pastrnak combined for a gaudy 30 points against Toronto in the first round last April, while Matthews mustered a solitary goal to go along with one assist. The 21-year-old dealt with a number of injuries in 2017-18, including a shoulder ailment late in the schedule. He missed 14 games with an injury to the other shoulder early this season, but is feeling near the top of his game, especially over the last month. Babcock, who has guided the Leafs into the playoffs for a third straight campaign, has also seen vast improvement from a star Toronto needs to step up in order to secure the franchise’s first series victory since 2004. “You’ve got to remember he’s just a young player,” Babcock said. “You learn how to play without the puck so you can have it more. You learn how to play and check it back. You learn what to do and when to do it. You just keep getting better. Toronto should have a better answer to Boston’s top line down the middle in the form of John Tavares, who signed with the Leafs in free agency last summer, while Nazem Kadri centres the third unit and will be hoping to make some amends of his own after getting suspended for Games 2, 3 and 4 last spring. Matthews was targeted by Bergeron and hulking defenceman Zdeno Chara at nearly every turn at this juncture 12 months ago, especially when the Bruins had the last change. He’s likely going to be in for more of the same, especially in Boston, but is locked in for what’s to come. “I expect a lot out of myself,” Matthews said. “I want to compete, produce and help this team win any way I can.